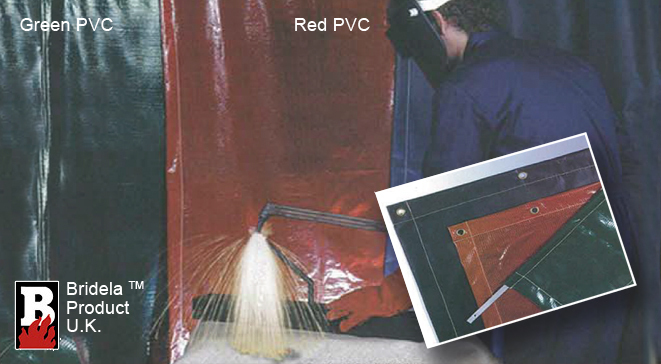 Welding Curtains divide up industrial spaces without the permanency of walls. Welding curtains can protect workers and have the added benefit of shielding flammable materials, machinery, plant and equipment from molten metal globules, spatter. This reduces the chance of injury to other employees and damage to other product parts. You can create flexible work spaces with welding curtains as they can be used to reconfigure your workspace as needed, without incurring any additional costs. The ability to adapt so easily and smoothly to any project that comes along is the key. Welding can be a dirty and dangerous profession, as well as grimy clothes, tools and equipment, it can result in serious injuries, including severe burns. The most common cause is spatter, high temperature metal that can become airborne during the welding process, this can injure anyone it lands on or affect any other equipment or products it may land and cool on. In addition to protective clothing welding curtains are a way to protect workers as it can limit how far spatter can travel, and who it can hit. IC International supply high quality BRIDELA™ welding curtain systems from a range of different materials based on the application they are used for. The welding curtains are supplied with brass metal eyelets to facilitate easy suspension and securement. Manufactured in the UK these curtains are of the highest quality. To find out more about IC International’s welding curtains please visit their website.